The latest Saskatchewan Entrepreneur Stream Invited 142 candidates to immigrate to Canada. The draw was held on 24th May 2017. Applicants needed a work permit to qualify for the SES, with 3 more draws are expected later. Saskatchewan has conducted the largest ever draw for the Entrepreneur stream of the Saskatchewan Immigrant Nominee Program (SINP), with 142 international entrepreneurs invited to apply for the program after the draw held on 24th May 2017. This latest draw set a new record, as the point’s threshold required for a candidate to be invited to apply reached its lowest ever intake limit of 80. The provincial government of Saskatchewan refers to this stream as the SINP Entrepreneur Program, and through this program, successful applicants can start, obtain, or partner in the business in Saskatchewan and be actively involved in managing it, while residing in the province with their respective family members, if applicable. Successful applicants are first required to obtain a work permit, which allows them to work in the province, before applying for permanent residence once they have fulfilled the terms of a Business Performance Assessment. 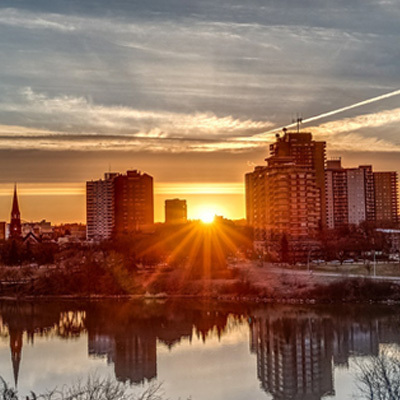 One of the requirements for entrepreneur candidates is to meet the minimum net worth requirement of $500, 000 CAD and an equity investment requirement of $200, 000 (raising to $300,000 if the investment is made in in the city of Saskatoon or Regina respectively). Additional requirements for the business include the potential to contribute to the province’s economic landscape, as assessed by the Saskatchewan provincial government. Upon entry into the SINP Entrepreneur pool of candidates, all eligible candidates are assigned a score out of 160. This unique points grid has a particular focus on the local labor market needs, such as, candidates who plan on investing in a key economic sector may be awarded more points, the same with candidates who conduct an exploratory visit to Saskatchewan for at least five working days with evidence of contact with relevant business personnel. Other factors that are considered, include candidate’s age, the level of education, language ability, and entrepreneur experience among others. Before the latest draw, the lowest score among invited candidates was a respectable 95. Therefore, the decrease to 80 in the latest draw, represents a huge dip in the cut-off threshold. Click here, to learn more about the Entrepreneur visa.